Update (6/08/2011): The curry chicken and curry fishhead served bubbling in a claypot ($6-7-ish) are both delicious and very popular amongst patrons. Note that the latter is less spicey and you can choose either bread or rice (or both if you want!) to go with it. The curry fishhead ($20) will feed about 3 people comfortably. Of course, the dimsum items are not to be missed- my favourite being the stewed pork ribs and the cheong fun (pictured below) made ala-minute at the front of the shop. It was raining horribly that day and I was freezing after walking out of the subordinate courts. Didn’t want to walk far so I settled for a light bite in Breakthrough Cafe. ‘Officially launched on the 27th of October 2007 by Associate Professor Ho Peng kee (Senior Minister of State for Home Affairs and Law), Breakthrough cafe offers reformed drug addicts the much needed employment opportunities where they can further their skills and be better prepared in reintegrating into the society. 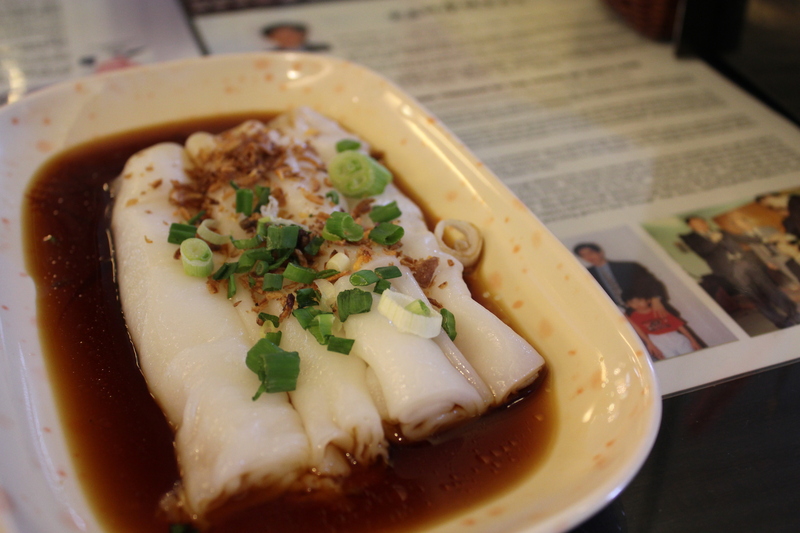 The cheong fan had a beautiful melt-in-the-mouth texture, almost as good as the one I had at Lei Gardens. Plus, it is way more affordable here. It’s always nice to drink a hot dessert on a dreary day. While I found the ginger soup too sweet for my liking, the tang yuans were alright. The skin was quite soft and the peanut filling was delectable with the tiny white sesame seeds inside that gave that extra roasted nutty flavour. Service was impeccable. 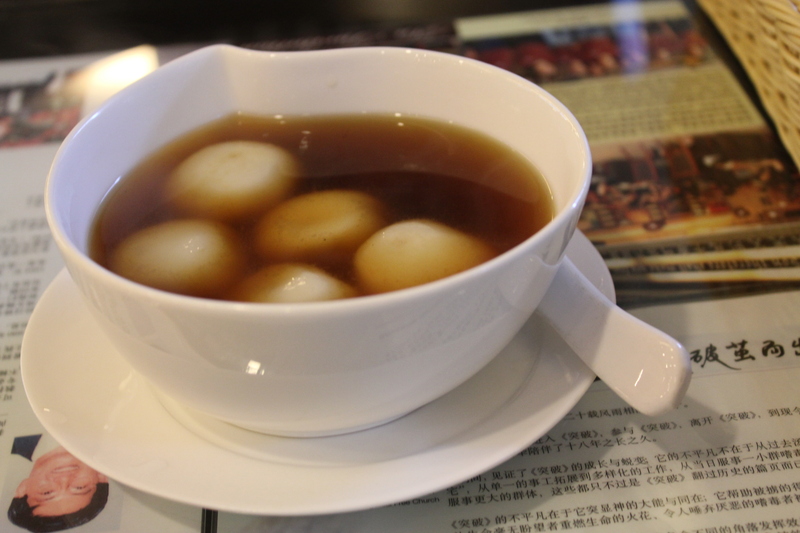 There was a mix up in my order which was really my fault (glutinous rice balls got heard as glutinous rice). But the service staff didn’t kick up a fuss one bit, they just smiled and told me not to worry.